As a non tea or coffee drinker (I hear you gasp!) 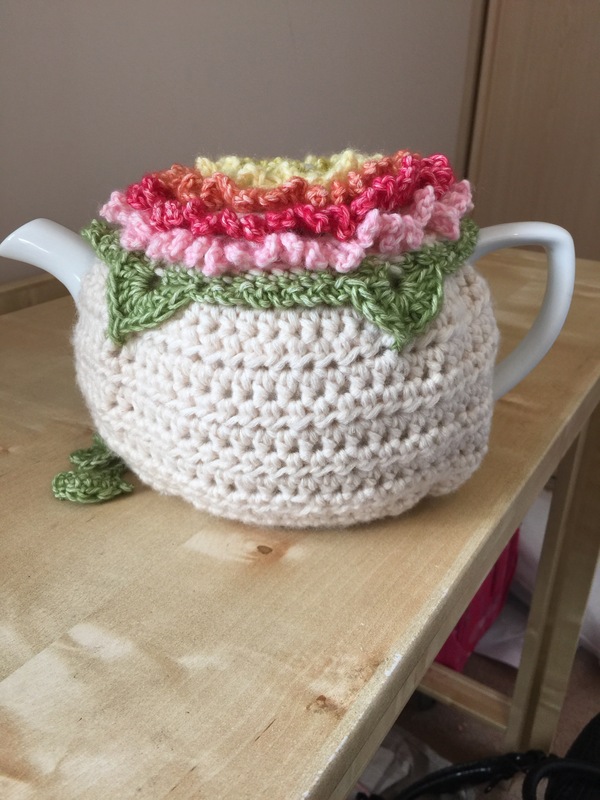 I do not possess a teapot, but do people still use them? 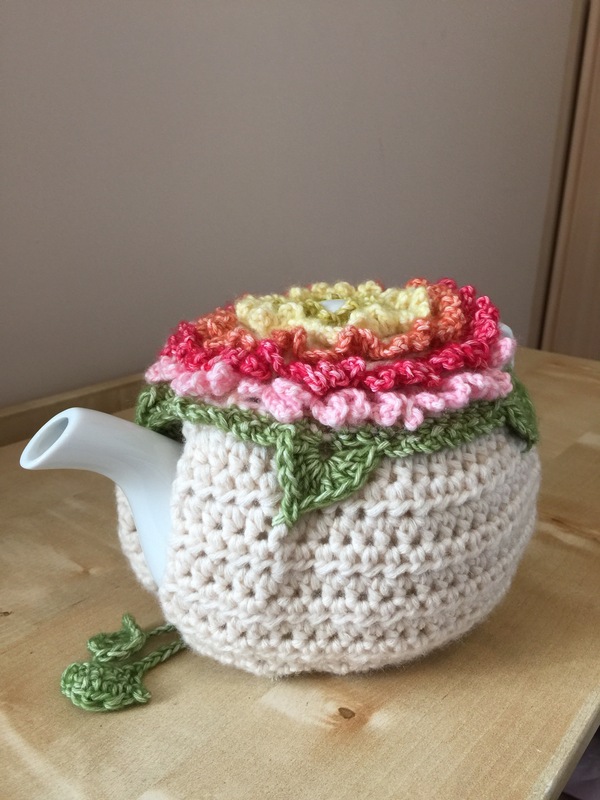 Well this months Little box of crochet was a tea cozy, I winced at the thought of a tea cozy, I have always had this perception of them being old fashioned, anyhow as you know when I got my last box I was absolutely made up with it, everything was so cute! I looked at the pattern and thought yes I’ll give it a go. Well I can’t tell you how much I’ve enjoyed it, I’m considering making more!! 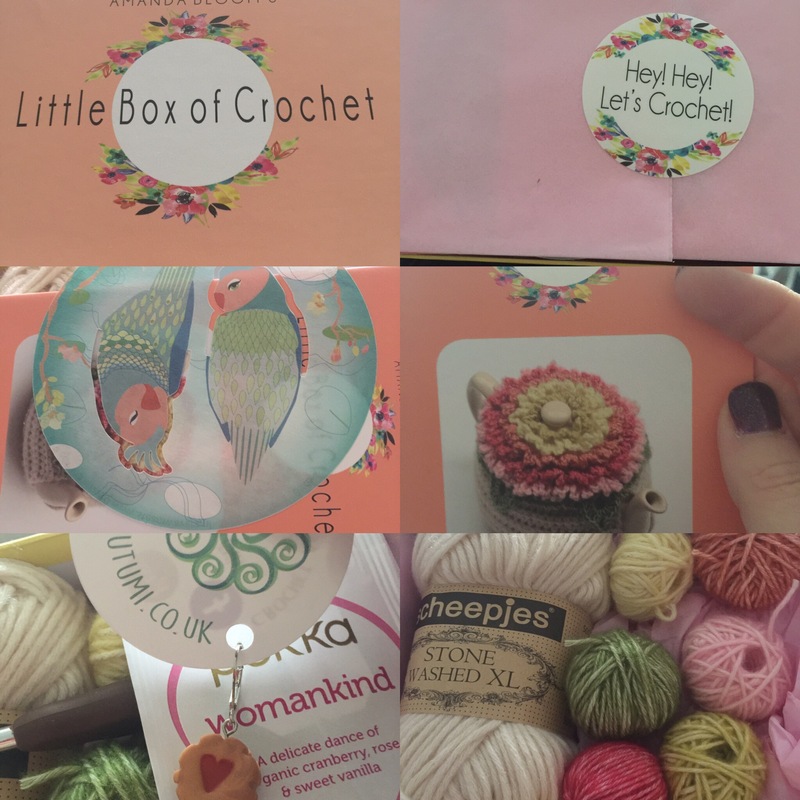 I finished it today and raced out to the shop to buy a tea pot, just so I could show you how beautifully this months box is, have a nosey at this!! I know you like it!!! Who wouldn’t right?! 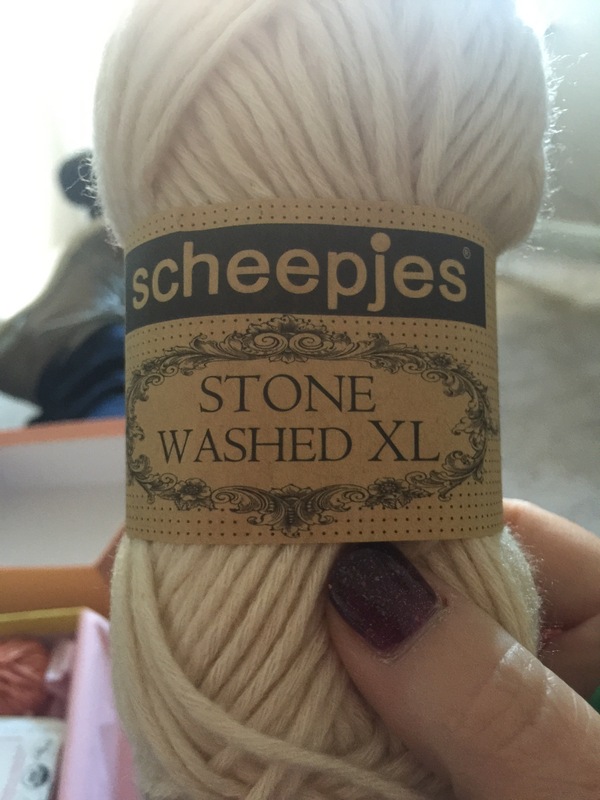 Scheepjes stone washed 💕 absolutely beautiful to work with and so warm! 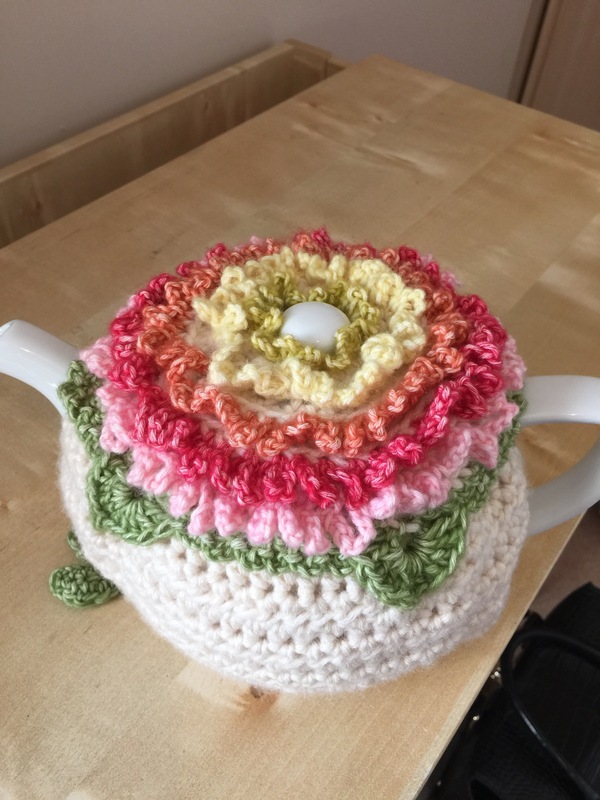 And luckily the teapot I but was a 6 cupper which fitted my new cozy beautifully! Not much else to tell you really, for now anyway.